The vast majority of people attempting to file an asylum claim are allowed to do so once they reach the U.S., but often don't see a judge for several years while they wait to see a judge. According to the Washington Post, only 10 percent of applicants from Central America are ultimately granted asylum by a judge, but in the meantime many are allowed to reside in the U.S. The Trump administration views this situation as unacceptable, and President Trump dispatched military forces to bolster the border ahead of the caravan's arrival. On Saturday, Mr. Trump also tweeted that migrants attempting to apply for asylum at the southern border will not be allowed to stay in the U.S. and will instead have to wait in Mexico while their claims are being processed. 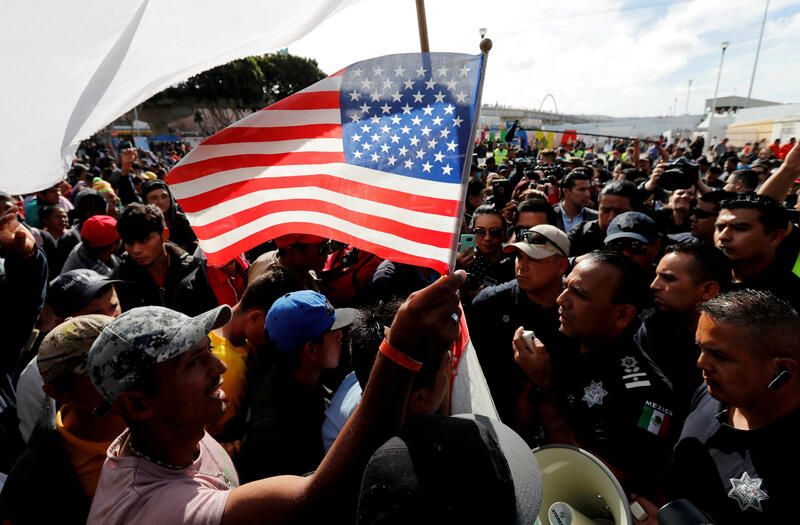 Mr. Trump heralded this new plan, which the Post reported has the support of the incoming Mexican administration, as the end of a policy he's dubbed "catch and release."